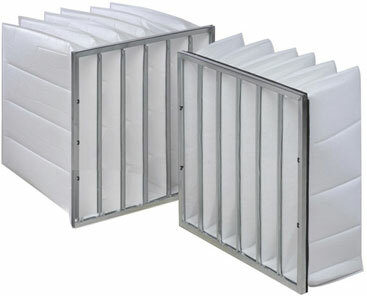 Multi-Pocket Filters - Air Filters, Inc.
- Dual denier polyester in 1 or 2 ply. - Available with or without internal support. - 7 face sizes at 9" depth. - 5 face sizes at 15" depth. - Low initial pressure drop. - Capacities form 750 to 2500 cfm. - Dry or tackified adhesive. - Efficiency 80% ASHRE, 40% NBS.